I’ve made the commitment to post on Thursdays each week over my lunch hour to keep the new art out there, rather than just hanging out in my studio space waiting for grout! Here’s to low-pressure resolutions! Watch for new art each Thursday! Two new pieces today. The first is a piece that I’ve been thinking about making for some time now. After I complete a piece there are inadvertently little bits and scraps left over that aren’t enough to create another piece with, but that I can’t bear to think about throwing away. So, I have this little buckets of these bits here and there around my studio. 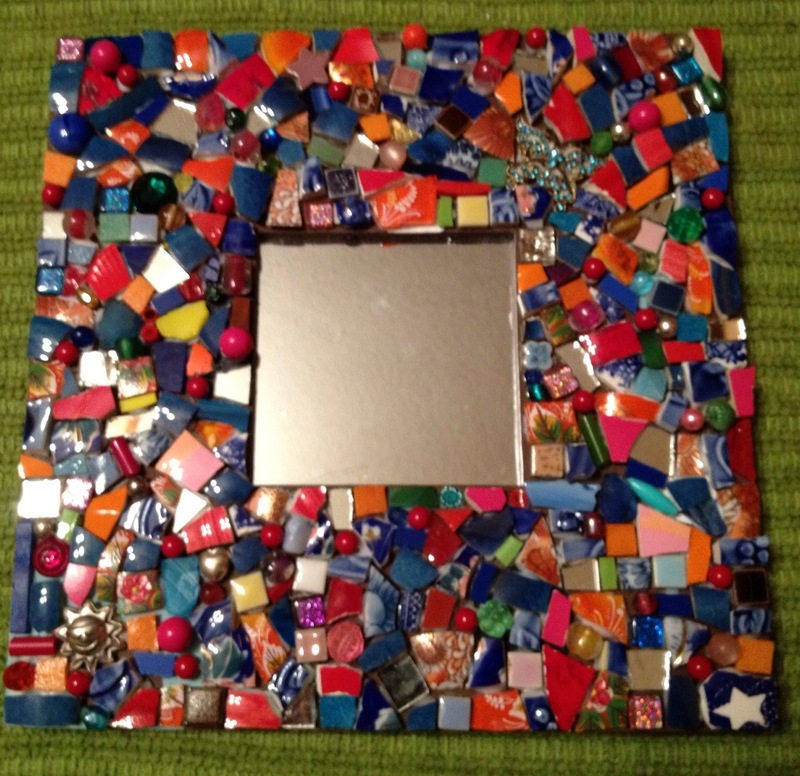 I recently decided to dump them together and make a piece akin to a “crazy quilt” with them. For those of you who didn’t grow up with a gramma who sewed quilts, a “crazy quilt” was a quilt made of all the leftover fabric scraps from previous quilts that the quilter couldn’t bear to throw away. I’m not sure what to call this piece–ideas that are floating around in my head are “Perceptions” or “Pondering” or “Easy Seated Pose.” It was fun to play with mixed media within each color to create a complete picture that had unique stand alone elements within it. I plan to grout this piece this weekend so that I can afix the final touches–some tiny sparkly stars on the tile stars at her forehead, her throat and her belly…plus a few more that will be added on her person somewhere. Let me know if you think of an inspiring name I should consider. 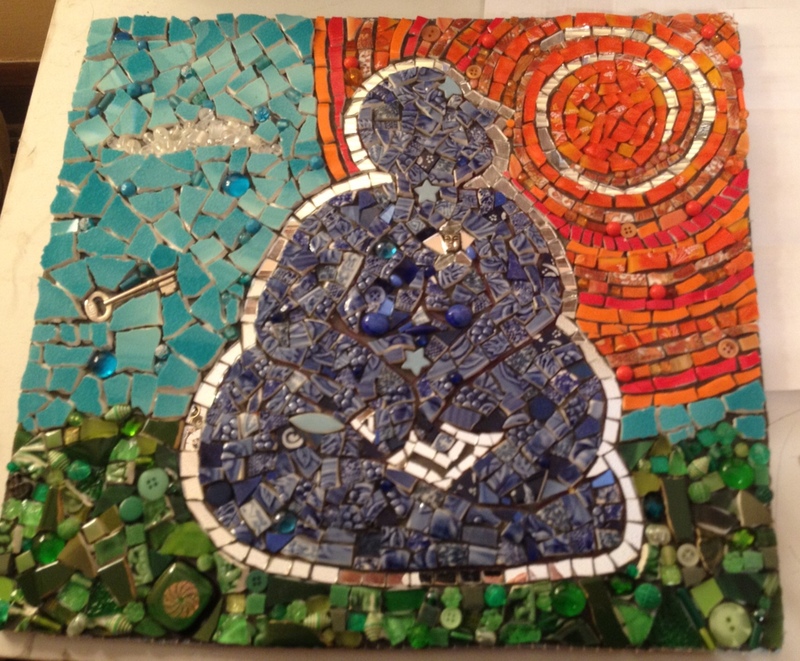 This entry was posted in Work in Progress and tagged crazy quilt, easy seated pose, mosaic, perceptions, pondering, yoga. Bookmark the permalink.